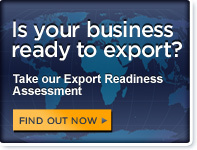 What documents will I need to export my goods? When do I need a Shippers Export Declaration and where do I get one? What is a proper commodity description? What is a Certificate of Origin, and where do I get one if it’s needed? How do I get my certificate of origin "certified"? How do I determine the country of origin/manufacture? When do I need a NAFTA Certificate of Origin and where do I get one? Is a NAFTA Certificate of Origin required for shipments to Canada and Mexico? When and how do I submit a NAFTA Certificate Of Origin? Who determines if the product qualifies under NAFTA; who must complete the certificate? Is a Certificate of Origin required for claiming benefits under Free Trade Agreements?